Vicky was nervous about her first painting holiday. Three Flavours Holidays later, Vicky tells us why she keeps coming back for more. What sort of painter are you? ‘Keen amateur’ would sum me up quite well, I think. I painted quite a lot in my youth, then for one reason or another stopped pretty much altogether, and only took it up again properly once I’d retired. What brought you to Flavours Holidays? Well, I started painting birds about three or four years ago, then decided I’d like to get some help with landscapes – and I thought a painting holiday might be the way to go. I had a look online and Flavours Holidays just stood out. For one thing their holidays are in Italy, and the villas looked absolutely wonderful. I also liked the fact that the price quoted was all-in, so there were none of those annoying hidden costs. And of course, there are no single supplements – so that was another real bonus, too. It was actually much, much better than I’d expected! My first holiday was in Tuscany, and I was bit anxious about being in a group but I met some lovely people, and the villa itself was absolutely beautiful. 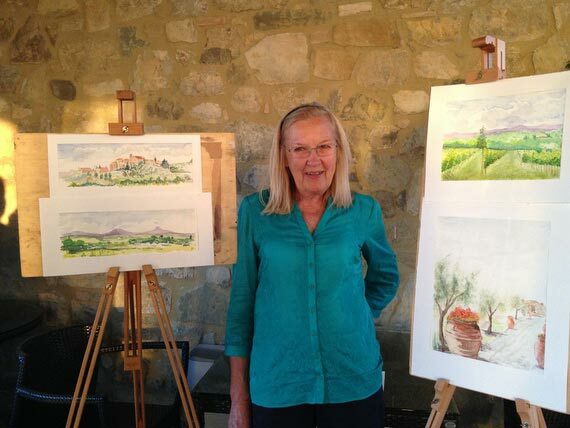 Not far from Siena, the villa was surrounded by vineyards and olive groves, so it was a fantastic setting for someone wanting to improve their landscape painting! And the teacher Hugh Tuckerman was endlessly encouraging. We were a really mixed bunch in terms of experience and expertise, and Hugh made everyone feel instantly at ease. “It’s only a piece of paper,” he would often say – in other words, it’s not the end of the world if things don’t turn out quite right. He has a very relaxed approach to painting, and I find it really helps. Have your holidays improved your painting? Without doubt. I think in particular my use of colour has really come on. One of the exercises Hugh uses is to get us to do a whole painting using just two colours, so you have to get really clever with your mixing. It really opens your eyes as a painter to the power of a limited palette: you can’t just reach for another tube of paint, instead you have to use the play of cool and warm shades to achieve the right mood and balance. What has been the highlight of your holidays with Flavours? Well, the food is always absolutely fantastic, and just having time to potter about at the beautiful villas is hard to beat, painting a terracotta roof here, a plant pot there. 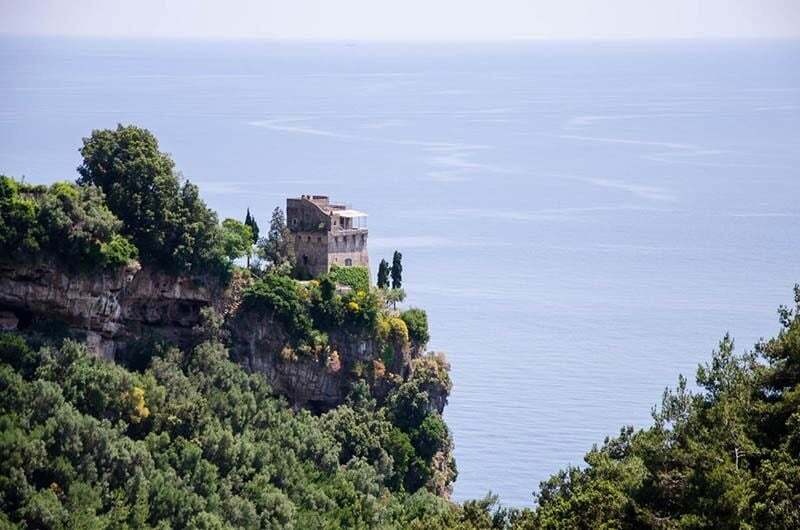 In Amalfi the Flavours villa is a converted 16th century Saracen watch tower with incredible views over the sea. It’s bliss. But I also really enjoy the excursions: Flavours give you a lovely sketchbook at the start of your holidays, so just sitting in a square in a town like Siena, with time to sketch the incredible, ancient scene…it’s just wonderful. I’ll definitely be back for more. Looking for more information on our painting holidays? Download our brochure or speak to a member of our team to start planning your own dream painting escape to Tuscany, Amalfi or Sicily this year!